I ride because I can and I ride for those who cannot. I am proud to be a part of the PMC and to ride with an amazing and committed team of caring people dedicated to the fight against cancer and finding a cure. On August 4th and 5th, I will be riding my 12th Pan Mass Challenge (PMC); a two day bike ride leading a charge to beat cancer. 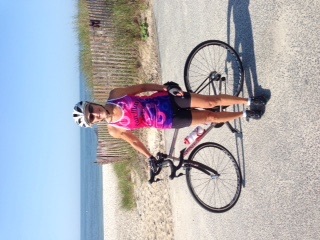 I ride again from Sturbridge to Provincetown to raise critical research, treatment and patient care dollars for Dana Farber Cancer Institute in Boston. The PMC is the largest cycling event in the country and has raised $500 million since 1980 and $51 million last year alone! Like many others I was hooked before the end of day one of my first PMC. All of us have been touched by cancer in some way, either yourself or someone you love. Each year as I ride my thoughts are with those who have faced cancer- my own family and friends, as well as family and friends of my ride sponsors. This year's ride is in honor of my cousin Dean who has been fighting a rare form of pancreatic cancer and currently in treatment for pancreatic neuroendocrine tumors. Last year was a banner year in myeloma, with FDA approval of seven new myeloma treatments. These treatments were evaluated and validated in our laboratory, and FDA approval clinical trials were also led by our team. Our ongoing research and new findings in myeloma are continuing to further help not only patients with myeloma, but also patients with solid tumors like breast, lung, and pancreatic cancer. For example, our vaccines to stimulate an immune response against myeloma are now similarly being evaluated in women with breast cancer. The ability to develop long-term immunity against your own cancer, just as you do after childhood vaccination against infection, may provide very durable responses in cancer. Moreover, whole new classes of medicines are being developed in our Center that could enhance this immune response. Finally, a most exciting first-in-class of medicines is being developed to turn on the cancer cells' own disposal system to degrade or dispose of those proteins in cancer cells that allow them to grow and survive. None of these advances would happen without the Patriot Platelet Pedalers heartfelt commitment and support. We and all of our patients are inspired by and most grateful for all that you do to help!! Cancer is not one disease; it is hundreds of different diseases and it doesn't discriminate. There have been great advances in cancer research, prevention, detection, and treatment of many cancers; but many others are still much of a mystery and there is still more to be done. That is why the PMC and your donations are so vitally important. My goal is to continue to ride and raise critical funds to fight cancer. I am so thankful and truly grateful to all of you who have helped by supporting my rides! Your generous support last year helped me raise $7887.25. I hope you’ll make our ride a success again this year and help me reach my fundraising goal of $8000 for my 12th PMC. Your donation is fully tax deductible and every single rider raised penny goes to DFCI to continue the ground-breaking research and to help patients. To donate on line, please kick the following link: www2.pmc.org/profile/KS0106. 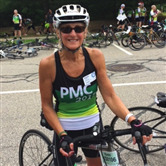 if you prefer to donate by check, please make it out to the PMC, and mail it to me at 60 South Main Street, Natick, MA 01760. Thank you in advance for your friendship and continued support!